It’s seems there may be a white weekend ahead for the Cape as Snow Report SA predicting a cold front coming in this Saturday that could bring snow to the province. Snowfall is expected to reach the region by Saturday night and continue on into Sunday morning while the front moves towards east. Some parts of the Northern Cape are predicted to receive lighter snowfall, and snow is expected to die down by mid-afternoon on Sunday. 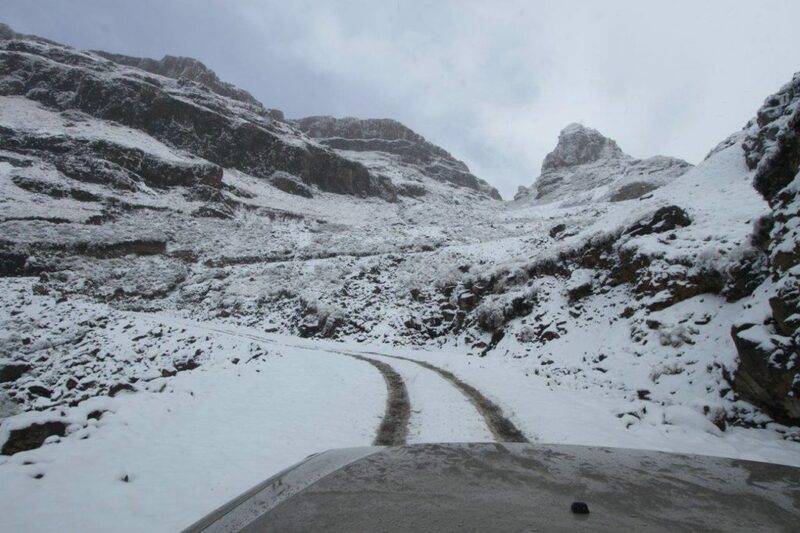 Temperatures that reach below freezing will stretch across the Cape and low level snow is predicted for the Western Cape, especially over the Hexriver Valley, Cederberg, Langeberge and Boland areas. Snow will grace the Franschoek Mountains, Stellenbosch Mountains, Hottentots Holland, Cederberg, Matroosberg and almost every other mountain above 900m in elevation. It has also been predicted that Table mountain may receive snow between the late hours of Saturday evening and early hours of Sunday morning. Tag us @capetownetc to share your snow pictures.